The Historic Dockyard Portsmouth and Singing for Quainton RBL! Paul and I at The Historic Dockyard! Nelson’s Flag Ship HMS Victory! 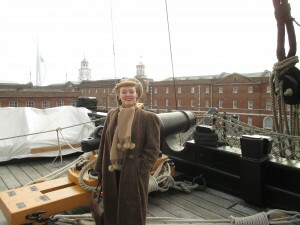 Me On Board HMS Victory! 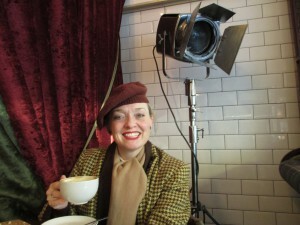 Coffee at the Garage Lounge Bakery in Southsea! This weekend I’ve been enjoying some time away before I start on the new season with the run up to Easter. I have a very busy week planned so it was lovely to get away and to do a bit of shopping and sight-seeing. 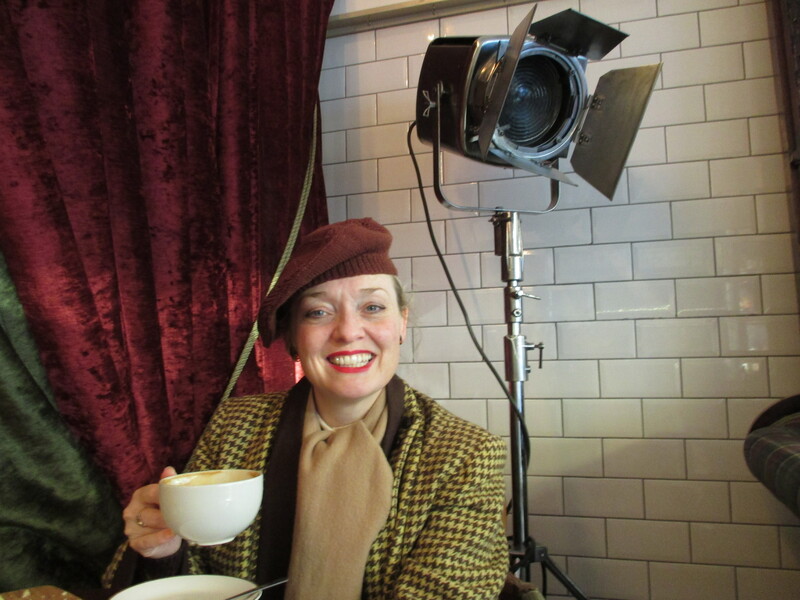 This week I found myself back down in Southsea as I just love looking around the vintage fashion and antique shops and then on Sunday I was at the Historic Dockyard in Portsmouth. It was wonderful to be at the dockyard again as I have many happy memories of visiting during my school holidays. My mother is from Portsmouth originally and we would always stay with my Great Aunts every Easter opposite the park in Kirby Road. 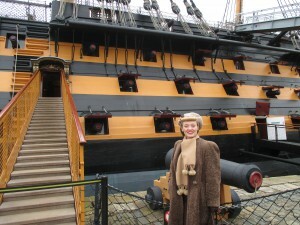 HMS Victory was always one of our favourite haunts so it was great to go back and play the tourist. The last time I was at the dockyard must have been 1999. I remember having an appointment with the museum curator to talk about WRNS uniforms of WW2 and to check on my insignia. I think it’s very important when you wear a uniform all is correct! 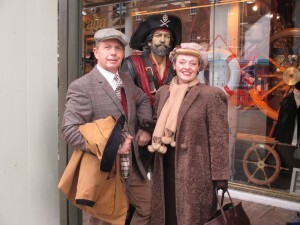 There is a lot to see at the dockyard and really it takes about three days to see everything. It costs £28 which at first does seem rather a lot however once you have purchased your ticket it is valid for a whole year and well worth going back a few times as there is so much to see. On this occasion Paul joined me and we visited HMS Warrior which was built in 1860 and was the first iron-hulled armoured warship. The interesting thing about Warrior is she never went to war and became out dated by the time she was finished. 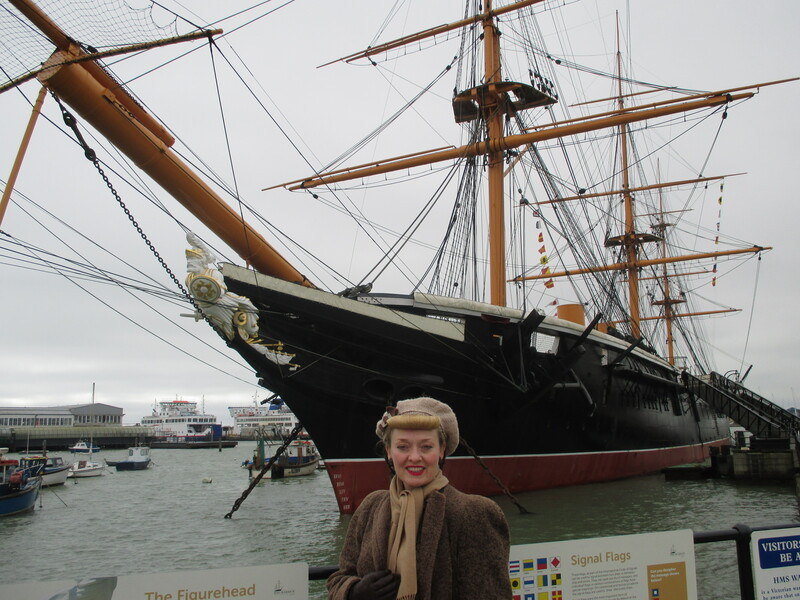 It makes you wonder if Prince Albert had not died when he did and if Queen Victoria had not gone into morning it makes me think if HMS Warrior might have been commissioned to help the deep South in the American Civil War. After all up until that point most of our cotton came from America until the war which made us switch to India! I belive the dockyard uses Warrior today to host all sorts of events and they are hosting a Trafalgar Ball on the 23rd October what a shame the date clashes with a show I’m doing up in Yorkshire. I’ve always wanted to go to a Trafalgar Ball. 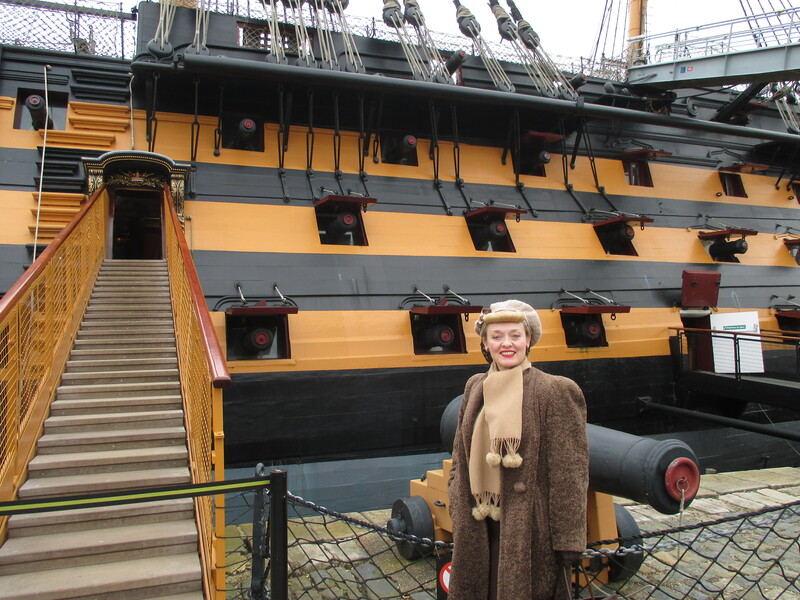 Speaking of Trafalgar we made a point not to miss the tour of HMS Victory and Nelson’s flag-ship. Victory is the world’s oldest commissioned war-ship and where Nelson fell during the battle of Trafalgar in 1805. Time goes very quickly at the dockyard and I’m looking forward to returning some time later this year as there is so much more I wish to see. However on the plus side Paul and I did mange to make it across to the Mary Rose and Henry VIII’s flag-ship. I remember when they raised her in the 1980s and watching it live on Blue Peter. It’s amazing to see all the artefacts all beautifully preserved and difficult to belive they are over 400 years old. Tomorrow I’m performing for Quainton’s Royal British Legion a “Hooray for Hollywood” and the “Swinging 50s and 60s” so I had better sign off and make sure I have everything organised for tomorrow.